Chris Lauzen is currently the State Senator serving Illinois' 25th Senate District which encompasses a large part of Kane and Kendall Counties as well as a small portion of LaSalle County. 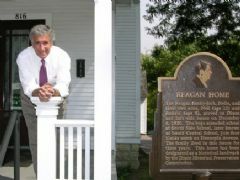 He has worked on behalf of the constituents of the Fox Valley area since his election in 1992. Chris has used his common sense financial background to shape legislation in Springfield which has made our state government more accountable. Prior to his life in public service, Chris was a successful business owner who built an accounting practice with a client list of over 200 area small businesses. In preparation for professional life, Chris graduated from Duke University with honors before earning an M.B.A. from Harvard University. Chris and his wife, Sarah, along with their four wonderful sons, make Aurora their home. Lets get Chris Lauzen to Washington.